Researchers from Bochum have detected an olfactory receptor in the human bladder that might prove useful for bladder cancer therapy and diagnosis. Using cell culture studies, the team headed by Prof Dr Dr Dr habil Hanns Hatt and Dr Lea Weber demonstrated that the receptor occurs more frequently in bladder cancer tissue than in healthy bladder tissue. Accordingly, significant higher amounts of the receptor could be found in the urine samples of patients. The team from the Department for Cellphysiology at Ruhr-Universität Bochum, together with colleagues from the Augusta Hospital in Bochum and the University Hospital in Düsseldorf, describes the results in the journal Frontiers in Physiology (May 16, 2018). The researchers, moreover, explain why the olfactory receptor might be a suitable therapeutic target in cancerous and other diseases of the urinary bladder. The olfactory receptor in bladder tissue is named OR10H1. The researchers from Bochum have demonstrated that it responds to sandalwood scents, for example Sandranol. In collaboration with Prof Dr Wolfgang Schulz from the University Hospital in Düsseldorf, they analysed the behaviour of cultivated cancer cells when OR10H1 is activated by Sandranol. Hatt and Weber, moreover, identified the signalling pathway that is switched on in the cell when the odorant binds with its receptor. After application of Sandranol, as well as of Santanol, i.e. the main component of natural sandalwood oil, the bladder cancer cells altered their shape; they became rounder. Furthermore, cell division occurred less frequently and cell motility was poorer. "In our cell culture studies, we successfully inhibited tumour growth using sandalwood scent," says Hanns Hatt. This effect was amplified by the fact that receptor activation leads to the release of so-called interleukins as well as ATP, the molecular currency of energy transfer, thus switching on the immune system's natural killer cells in the tissue. The team also analysed if the higher amount of receptors in bladder cancer tissue can be detected in urine. There, the researchers identified RNA transcripts of the receptors; they occurred in urine samples taken from bladder cancer patients in higher amounts than in healthy humans. "Consequently, OR10H1 might perhaps be used as biomarker for the diagnosis of bladder cancer with urine samples," concludes Director Dr Burkhard Ubrig from the Urology Clinic at the Augusta Hospital in Bochum. In a related study, published in Frontiers in Oncology in February 2018, the cell physiologists from the Ruhr-Universität Bochum demonstrated that the OR2B6 olfactory receptor occurs exclusively in breast cancer tissue. It does not occur in healthy tissue; outside the nose, it can only be found in small amounts in lung and pancreatic cancer cells. Therefore, the OR2B6 olfactory receptor may be potentially suited as a specific biomarker for breast cancer diagnosis, according to the authors of the study. 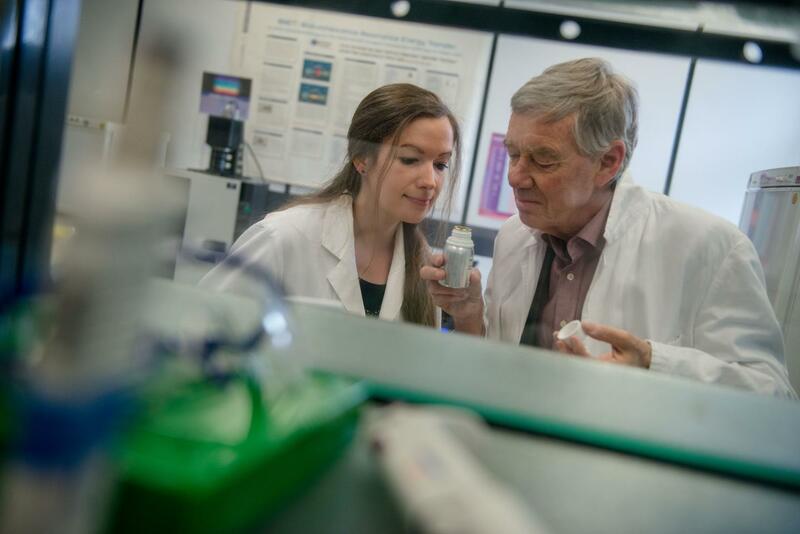 "Both studies have confirmed previous research findings made in our lab, namely that olfactory receptors occur outside the nose in both healthy and diseased cells of the body and that particularly high amounts of such receptors can be found in tumour cells," says Hanns Hatt. "In future, they will play an important role not only in the diagnosis of diseases, but, first and foremost, they will provide novel approaches in tumour therapy." Are tattoos linked with individuals' health and risky behaviors?